Have you just received your citizenship from Plateauville? 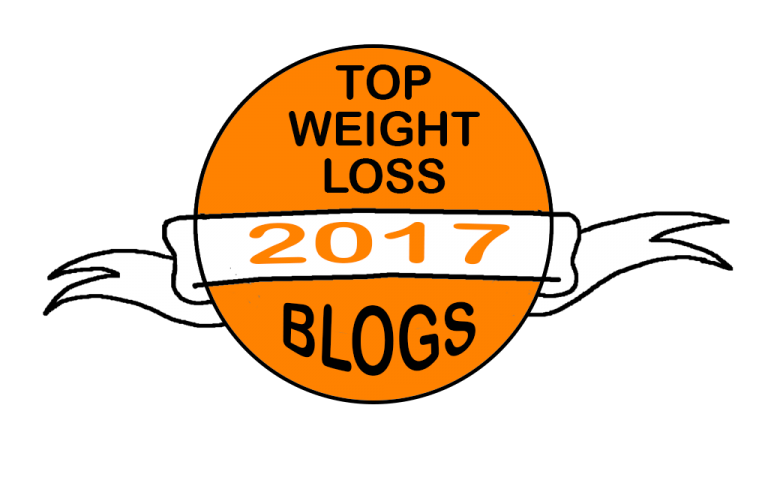 Then you need to forget about all you’re doing in the gym right now and step a bit further into the uncharted territory of muscle gains. 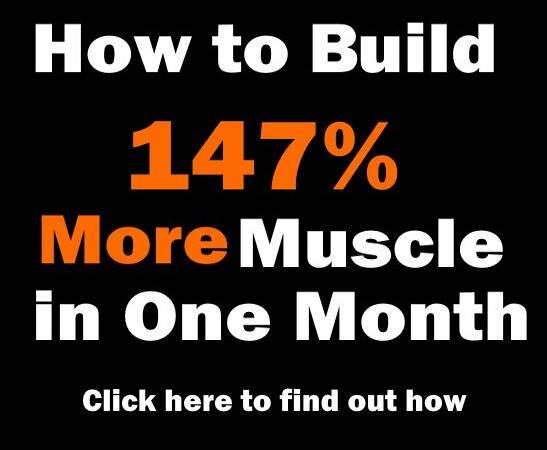 As you can guess, doing the same thing over and over and expecting different results is pretty much the definition of insanity, and we’d like to help you break free from your current training prison and tap deeper into your mass building potential. Truth be told, there are only a few secrets left to be discovered in the bodybuilding world, thanks to advancements in exercise science and accessibility of information, and it’s safe to say this especially applies to building huge biceps. 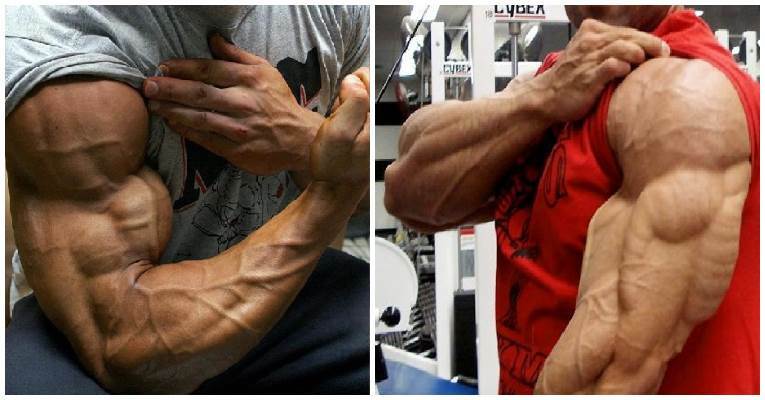 Still, the countless ways in which known arm exercises can be performed offer different, unique stimuli for muscle growth, and by adding advanced training techniques to proven arm moves you can get an unconventional arm-blasting duo that will push you right into massive growth mode! In this article we’re not going to tell you about some original moves with exotic names. We’re simply going to teach you how to perform well-known arm builders in a new, nontraditional way – one that guarantees overwhelming biceps and triceps development. Read on! 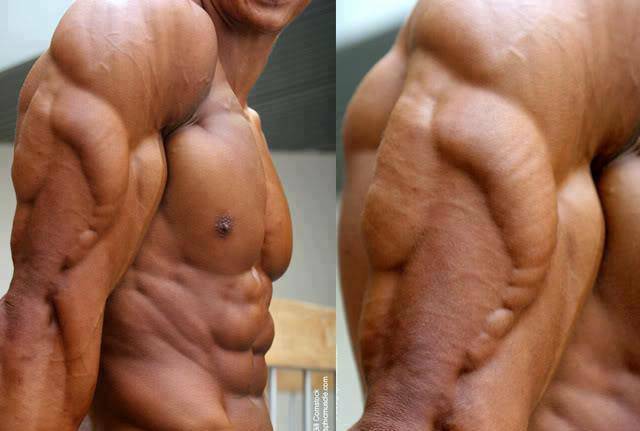 Curls are an unavoidable exercise for anyone looking to increase arm size. 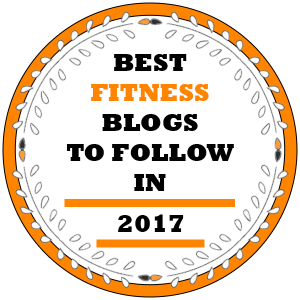 But this time, we want you to emphasize the eccentric portion of the movement, which is where the greatest potential for hypertrophy and power development lies. By focusing on the lowering part of the movement, you can powerfully overload your muscles and recruit more of their fast-twitch fibers, which leads to greater stress and greater adaptation. 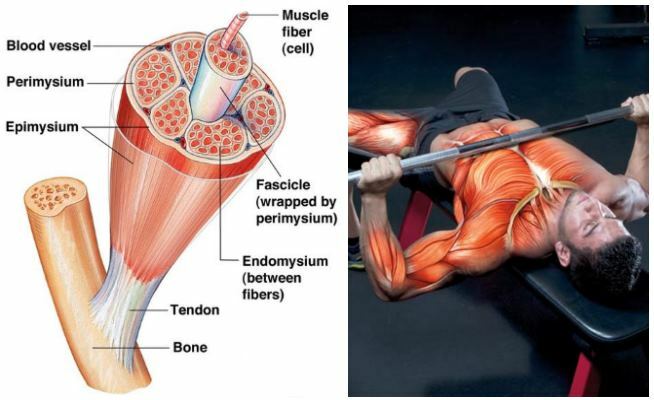 You will use a barbell instead of a dumbbell, which serves to up the challenge and force your supinator muscles to work overtime to keep the barbell steady. Get on a preacher bench, grab a heavy barbell with one arm and position it at the top of the movement. Then lower the barbell over an 8-second count. Pause briefly at the bottom and have your training partner assist you to lift the weight back up. What matters is that all of your work should be eccentric, so don’t curl the weight. Perform 3-6 sets of 3-5 reps. Note that since you’re up to 1.75 times stronger eccentrically than concentrically, it’s crucial to go heavy for best results. Pick the heaviest weight that allows you to complete the prescribed sets and reps. As soon as you become unable to maintain a steady 8-second eccentric tempo any longer, end the set. If you find that you’re unable to complete a set with the minimum 3 reps, reduce the weight and try again. This kind of training will make you sore as hell, and your muscles will take a bit longer to fully recover, so have that in mind when programming your training and rest days. Not recommended during a low-intensity phase! 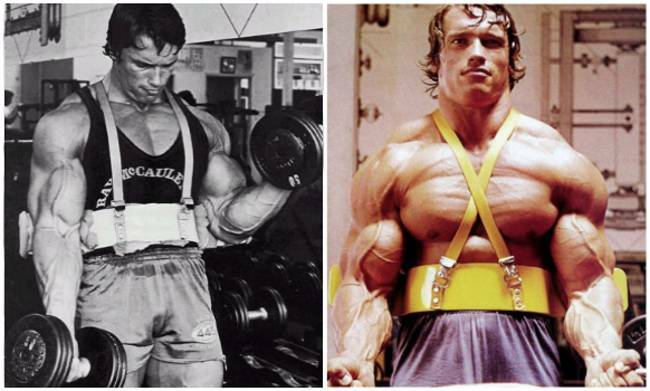 Reverse curls are rarely seen in commercial gyms because most lifters are focused on performing exercises which allow them to lift as heavy as possible. 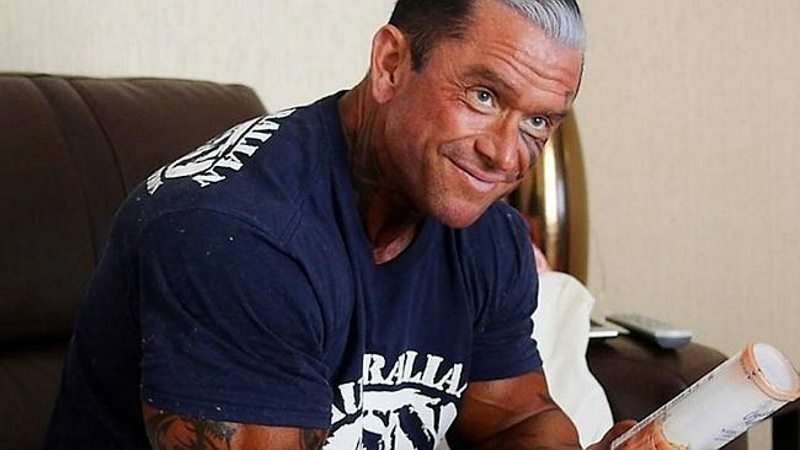 But ask any seasoned athlete how he trains his arms and he’ll probably tell you that reverse curls have immensely helped him build those Tarzan-like biceps. 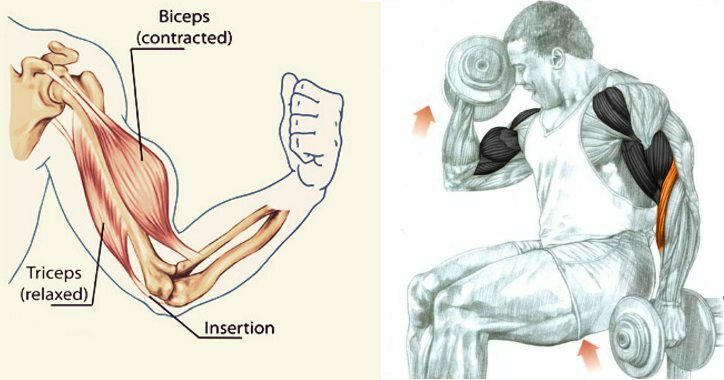 This is because the reverse curl primarily targets the brachialis, a muscle that lies underneath the biceps – when fully developed, the brachialis will push your biceps up higher and give them a much more majestic peak. According to Charles Poliquin, you know that you’ve got massive guns of steel once you can reverse curl 80% of your regular curl max. And to get there faster, you will need to maximize time under tension by emphasizing the eccentric loading. In addition, the fat bar will allow you to train your grip and forearm strength like never before – and you definitely need those two to both perform better on heavy lifts and complete your monster look. Select a heavy weight that will allow you to perform 4-6 sets of 3-6 reps and grab the bar with a pronated grip to work the brachialis better. You can use a closer grip than usual to intensify the contraction even further. Perform the concentric portion of the reps quickly but under control, without compensating through momentum, then lower the weight at a steady 5-second count. 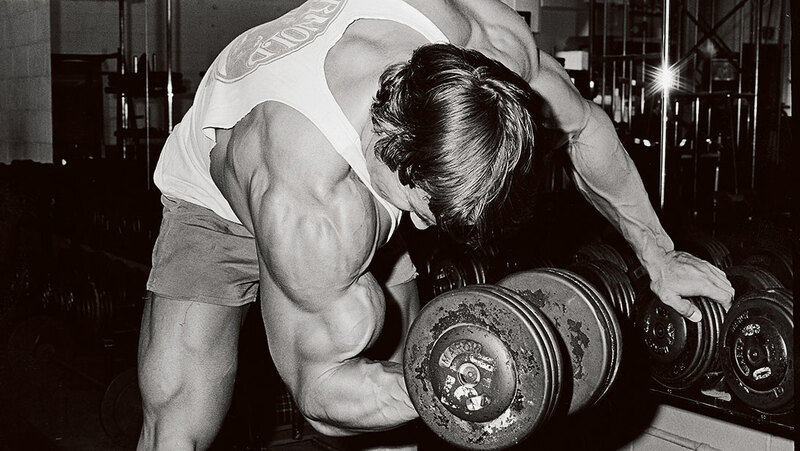 Make sure to keep your elbows tight to your sides – don’t let them drift forward and bring the front delts into play. If you don’t have access to a fat bar, use Fat Gripz. To provide new challenges to the nervous system and access more gains, vary the diameter every couple of sessions. End the set when you can no longer maintain a steady 5-second eccentric tempo. And if you can’t perform at least 3 reps with the selected weight, either reduce the load or widen your grip. Also, to maximize the effectiveness of the exercise, perform it at a point in your training session where your biceps are not fatigued.